Using a project management application can provide significant benefits to companies looking to streamline processes in their businesses. It can greatly reduce time spent on planning as well as increase team productivity. 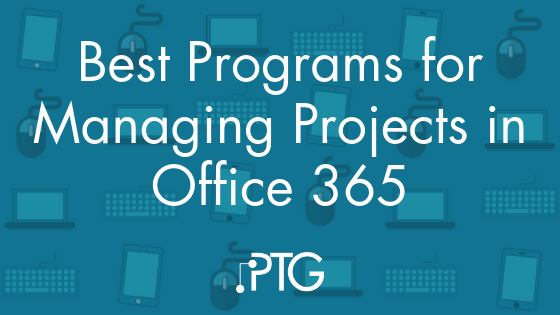 If you’re using Office 365, you already have access to multiple apps and platforms to help with project management. Each tool has its own strengths—it’s just a matter of what you’re trying to do. Edit 10/16/18: A lot has changed in Office 365 since we originally wrote this blog! Enough that we wrote a new blog, with some new program recommendations. You can read that here. Using a project management application can provide significant benefits to companies looking to streamline processes in their businesses. It can greatly reduce time spent on planning as well as increase team productivity. It’s just a matter of finding which application is right for you.